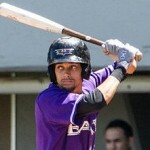 The outright biggest stolen base threat this year, and for years to come, is Billy Hamilton. Last year in just 13 games after being called up in September, Hamilton had 13 swipes. Now in his first full season, there is no doubt about his ability to get from first to second from the leadoff position. His only question mark will be whether he has developed enough as a hitter to get on base and get the opportunities to steal those bases. After being called up, he did bat .368 in what is a small sample size. In the minors last season, he hit .256 with 102 strikeouts and a .308 OBP, not exactly world-beating numbers. Hamilton is the definition of paying a premium for steals, and whatever you get out of him in other categories is just gravy. 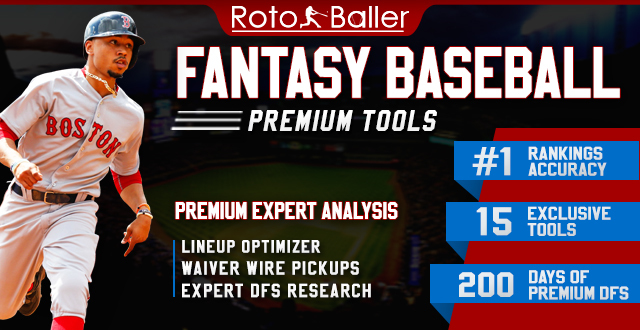 Another player who will not be a major contributor outside of the SB category, Davis is currently ranked at #318 overall, the lowest on this list. That said, he could be a great waiver plug-and-play option late in a week if you are down in steals. He will be batting towards the bottom of the Tigers lineup this year, which likely won’t help his R or RBI totals, but that isn’t why you add him in the first place anyway. Another unimpressive player with an even less impressive team, Villar is simply a guy you draft for your bench in standard leagues, and play him when your regular starters are hurt or off. He is currently the 15th-ranked SS, and batting ninth will not help his cause. With prospect Carlos Correa lying in wait at SS, Villar could wind up being dealt to another team for infield depth or just benched all together. Avoid at all costs, or draft very late with the knowledge that will be a bench player at best. Finally, a player that can do more than just steal bases. Ellsbury can not only steal 40+ bags, but also hit 15 HR and drive in 70 runs. Playing the majority of his games at Yankee Stadium will add to a bump in his power. A likely top 20 player for 2014, Ellsbury has had injuries that could scare off some owners, but all signs point to him having a successful first year in the Bronx at the plate and on the basepaths. A much better hitting shortstop than Villar, Cabrera is a better pick without the extra five projected steals. Hitting at the top of San Diego’s order should not only give him ample opportunity to steal bases, he will also benefit from being driven in by the Padres middle-of-the-order power hitters once he gets on. Being the eighth-ranked SS-- over the likes of Starlin Castro or Asdrubal Cabrera-- might be a bit of a stretch, but you know what you are getting with Everth, while the other two could very well be hit or miss. I don’t know about this guy. I mean what kind a major leaguer is named after a fish...? Joking aside, I’ve said it a million times: he’s the best player in fantasy baseball today. That’s it. Slots 7-10 all have SB projections at 39 or 38, so there isn’t much of a disparity. Yet in every other category, Gomez is by far the best player left. After riding benches as a pinch runner and batting in the bottom of orders, Gomez finally broke out in 2013 with 40 SB, 24 HR, 73 RBI and an .843 OPS, and was one of the great value picks in all of 2013. Now that he is ranked as the 20th-overall pick in 2014, he might be a bit overvalued, because it’ll be hard to duplicate his 2013 numbers. Still, he will continue to get on base and steal bags. Just 28 years old and to this point quite healthy, Gomez has plenty of time as an elite base stealer before he starts to decline. Aaaand we’re back to irrelevance. Young isn’t worth much of anything. He’ll likely be splitting time in the killer Mets outfield with Juan Lagares, another fantasy stud. What that means is that Young will end up being called upon as a late-inning pinch runner on the days he isn’t playing. So yes, he will rack up the SB, but don't expect much else from him at this point. When you bat leadoff for a team, it’s a great thing to pad your stats. It’s even better when you’re on a team like the Pirates, where you’re in front of guys like Andrew McCutchen. Marte beats Leonys Martin by one spot on this list, but look at these differences: Marte has projected 18 more R, 8 more HR, and .091 better OPS. While this speaks more as a compliment to Marte, the fact that he bats leadoff and Martin is ninth for the Rangers is also a significant factor. I might have just looked down on Martin to prove a point about Marte, but the reason he is ninth in the Rangers lineup is how deep the team is. After signing Shin-Soo Choo, Texas relegated Martin to the bottom of the order. The good news for Martin is that Choo can still drive in runs better than the average leadoff hitter. I have Martin on my own fantasy team because I needed speed in my outfield. After evaluating the options, I am satisfied that I have signed up for a nice pick that will contribute beyond the basepaths. You'll notice that I've basically listed the 18 highest projected base stealers, including some of the games’ best players, including Mike Trout, Jacoby Ellsbury and Carlos Gomez. Yet if you are reading this after your team is drafted and you didn’t land any of those elite names, never fear. 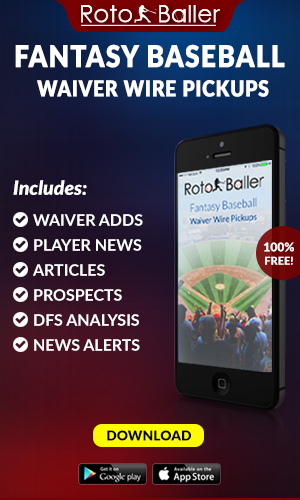 There are waiver options here, t00, in Jarrod Dyson and Rajai Davis. 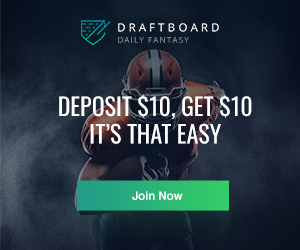 You can always find speed for your fantasy team, it just depends how you use it. That’s it for now, and this was also my last Top 10 list of the year before Opening Day. 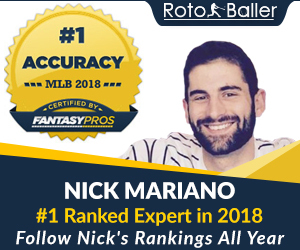 Next up for me I have “How To Play The Waiver Wire” and “How Not To Play The Waiver Wire.” Wait for those, and make sure to study them, as many leagues are won and lost by grabbing the right guys off waivers at the right times. 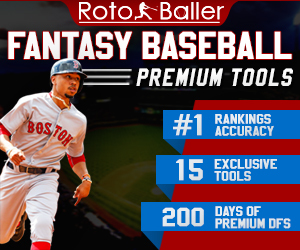 Make sure to follow me @JustBerglund and @Rotoballer on Twitter for all of your fantasy baseball updates.